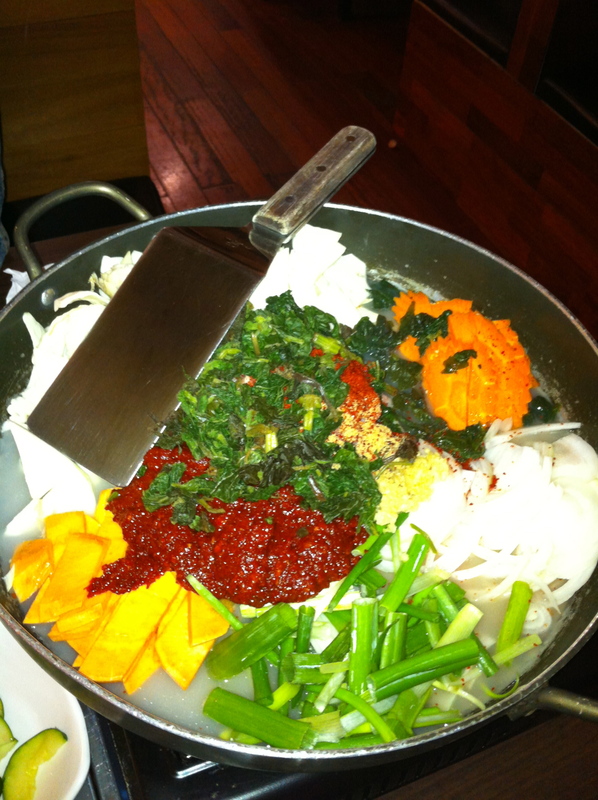 The Way to My Heart is Dak Galbi! Walking down Bloor St West in Toronto between Christie and Bathurst stations is like walking into a Korean wonderland! Hangul on signs, the smell of kimchi and even an E-Mart lets everyone know who runs this section of Bloor! 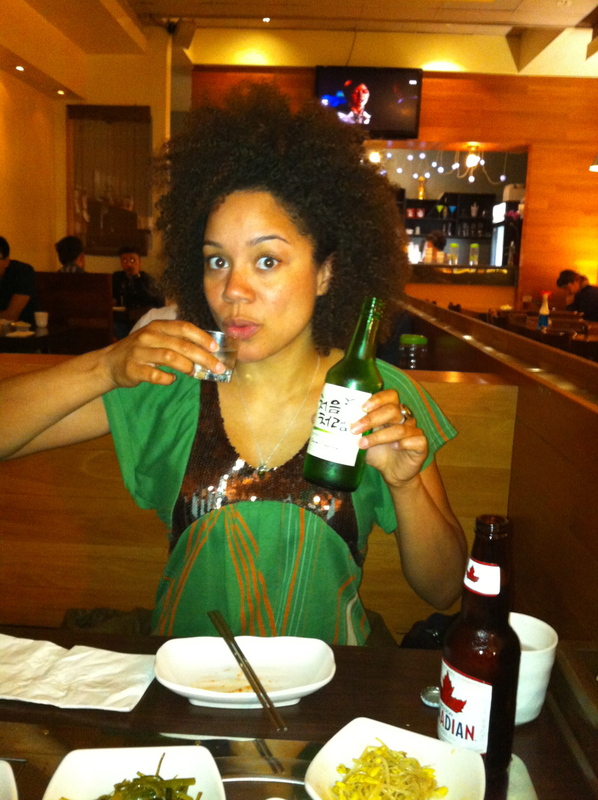 And Torontonians love their Korean food especially Korean BBQ or galbi! But one kind of galbi doesn’t get the props it deserves in my opinion. 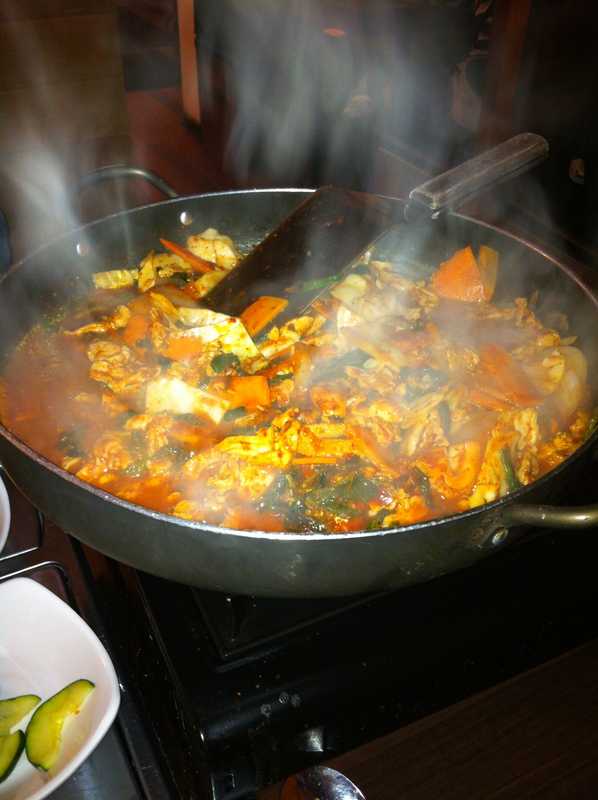 Dak Galbi is one of my favourite dishes and not many people have tried it here. I tell people about it and their mouths start watering, but when I ask if they’ve tried it they say no! Now I get it, even in Korea dak galbi isn’t as popular as other galbi and I realize it all originated in Chuncheon as an anju (dish to eat while drinking), but I think it deserves a place in more main stream Korean cuisine menus! -stir-fry second course on med-high and enjoy! This is one of my favourite dishes from any culture because it is fun to cook, takes a while so it allows for great chats and drinking, smells amazing and has the surprise second course! Make this dish as part of a dinner party and invite fun lively people who like beer and soju so you can eat for a couple hours, chat and laugh! Comment on this post when you try this and let us know how you like it! C’est l’heure du Tea World Festival!